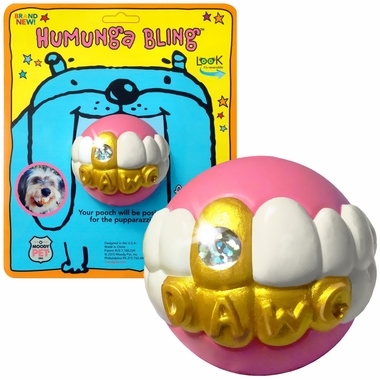 Humunga Bling Teeth Ball will turn your dog into the coolest "dawg" on the block! 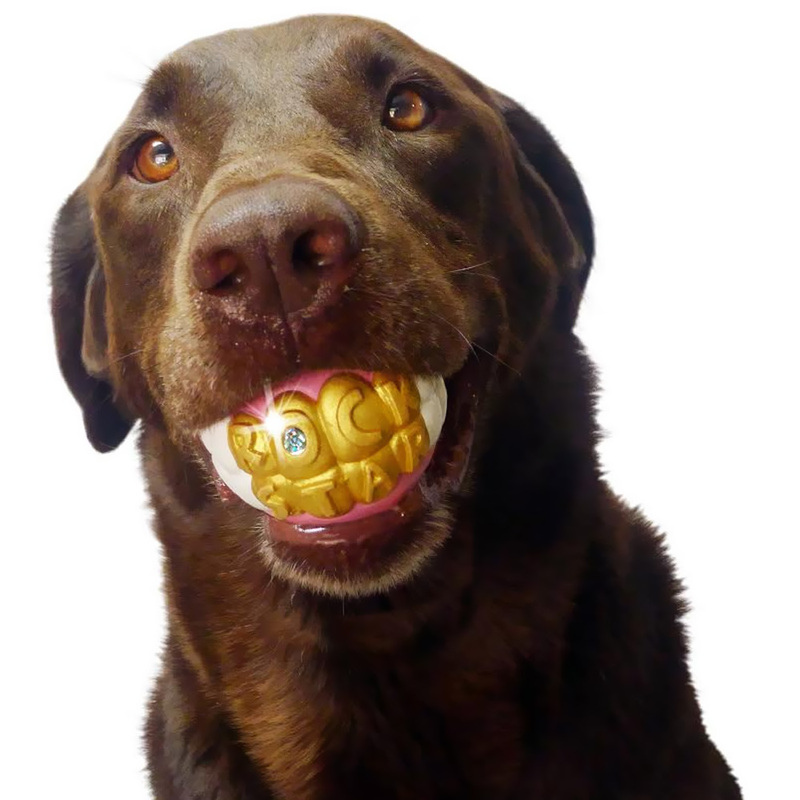 This creative ball toy is decorated to transform your pooch while he carries the toy with a unique toothy grin adorned in gold and diamonds. The faux smile with which your pup parades is sure to get a laugh when he carries the toy in front of visitors. The Humunga Bling Teeth Ball is made from non-toxic rubber material that is safe for your pooch and which provides the same bounce and durability as your typical ball toy. This ball is great for individual and interactive play to keep your dog happy and active. 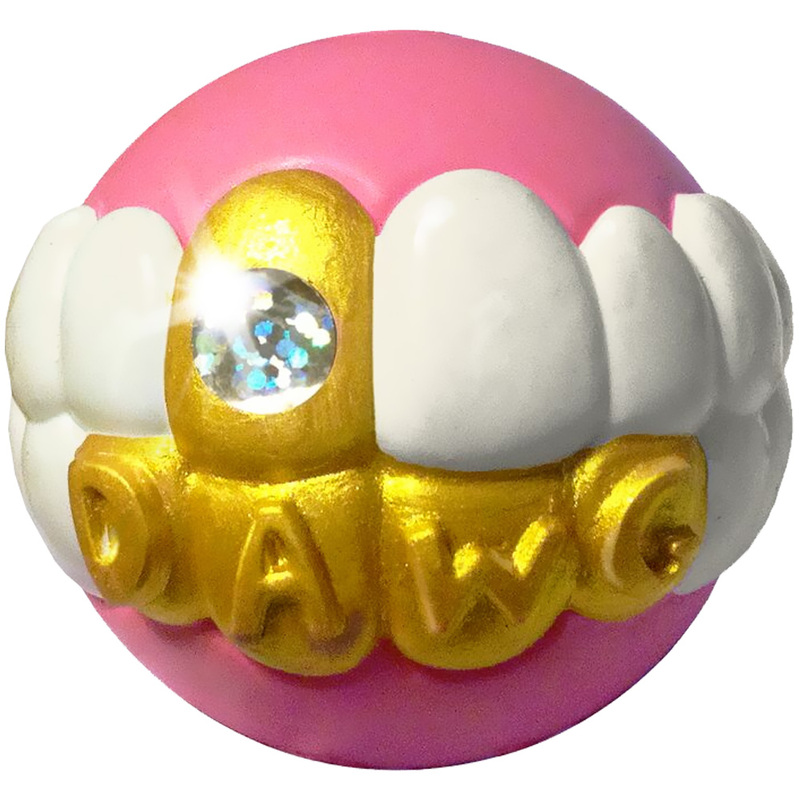 Provide your pup with a fetch toy that is sure to put a smile on his face by placing your order for this Bling Teeth Ball today! SAFETY INFORMATION: This is a fetch toy ONLY, NOT a chew toy. Please do not let your dog sit and chew on this toy. It’s an interactive toy for owner and dog to play fetch. Your dog must be supervised at all times while playing with this toy. Examine it frequently for wear and replace when appropriate.